For days all my 4 year old daughter would talk about was the 4th of July fireworks spectacular in Red Bank, New Jersey. Having missed the last 3 years of pyrotechnics, she was determined to finally see a live fireworks show, and who was I to let her down. The fireworks in Red Bank draws over 50,000 people. They drive down to the shore, they scramble to park, they watch, they leave. All of this leads to some incredibly gridlocked traffic. So in a moment of genius, my wife points to the Whole Foods on Route 35. 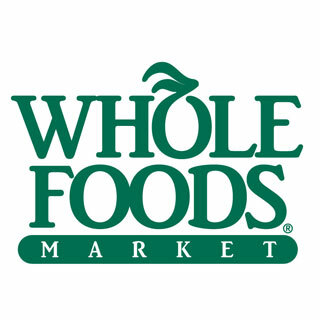 Whole Foods is the anchor store in a strip mall on the top of a large hill which overlooks Red Bank. Instead of stressing over parking, finding a place to watch the festivities, etc., we pulled into the Whole Foods parking lot, found a patch of grass, spread out our blanket and enjoyed the night. Only this story doesn’t end in sparkly oohs and ahhs. See, roughly 150 other families caught on to our idea and they too decided to park in the lot. Within minutes, the lot was packed with happily screaming children and neighborly greetings. Had I been focusing on their business, I would’ve printed signs offering free fireworks parking. I’d have employees armed with samples and coupons combing the parking greeting families and since Whole Foods was actually open during the show, there may have been a high propensity of families wandering in, had they been invited. Unfortunately nobody within Whole Foods had the epiphany to call an audible and this killed me! As a marketer, I sat observing a crowd full of the type of audience Whole Foods probably dreams of filling their car spaces. In today’s media landscape, Local is the new National. As large chains try to integrate themselves into the fabric of community, they need to realize their offline actions could inspire positive online affinity. Conversely, all they’ve got now is a disappointed blogger write about a missed opportunity sift through their hands like sand.